A stunning two hour Paris sightseeing tour that will lead you to the essential places not to be missed : Eiffel Tower & Trocadéro (photo stop), the Opera house, Notre-Dame (photo stop), Concorde Square, Vendôme Square, the Louvre, the Seine River banks, the Invalides, Madeleine church. 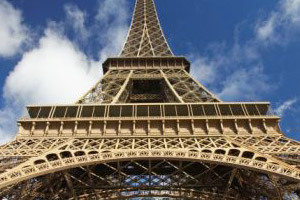 After this very informative visit, you will have a lunch at the restaurant " Tour Eiffel 58 " established on the first floor of the Eiffel Tower. After the lunch, you will attend a guided visit of the louvre and its 3 main masterpieces such as The Venus de Milo, The Winged Victory and of course The Mona Lisa painted by Leonardo Da Vinci. An All-inclusive tour! Paris City tour + Fast access ticket and lunch at the Eiffel Tower + entrance fee and commented visit of the Louvre in company of a national licensed guide together with a small group.